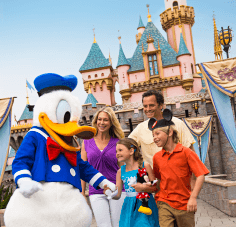 Hi all of you Disney fans! 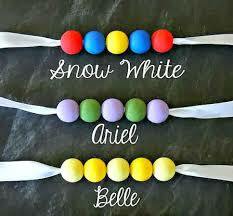 I'm betting on lots of Anna and Elsa princesses this Halloween, don't you think? They will each need their own awesome Trick-or-Treat bags, right? 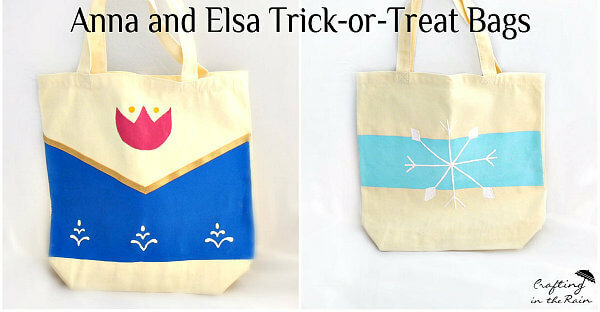 So I'm going to show you how I made these Anna and Elsa Trick-or-Treat bags. They're perfect for Mickey's Not So Scary Halloween Party. They'd even work for dress-up or little bag lovers. Start by taping off the bags. 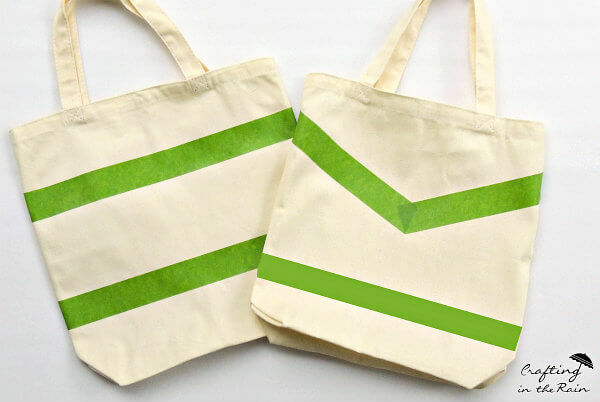 Diagonal lines and a line across the bottom for Anna's bag. Two straight lines for Elsa's. 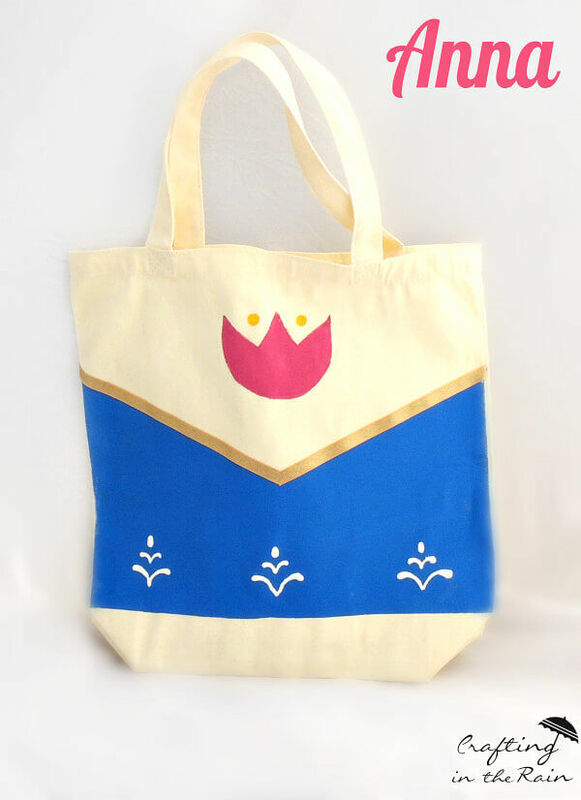 On Anna's bag, paint dark blue between the tape and remove. Then paint a magenta tulip and two yellow dots. Let dry. Glue two strips of gold ribbon on the top party of the dark blue. Then bust out the puff paint and draw small leaf designs on the bottom. 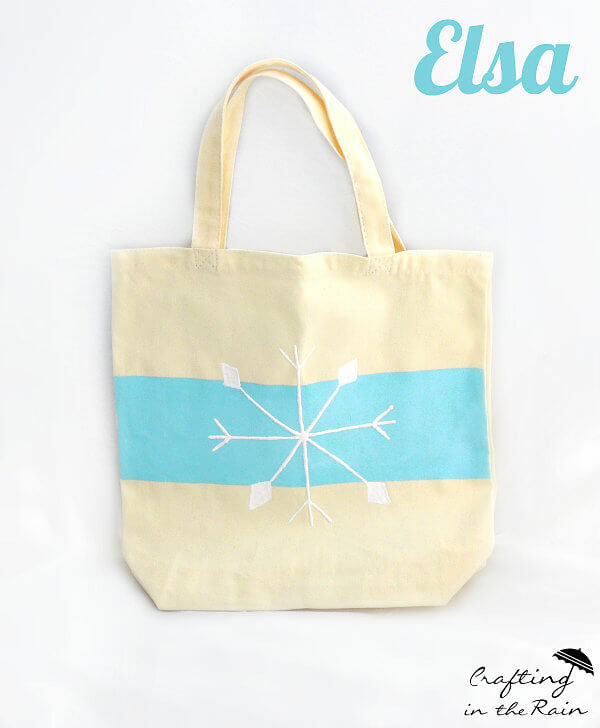 For Elsa's bag, paint light blue between the tape. When the paint is dry draw a large snowflake in the middle. And don't forget Princess necklaces to finish off any costume! Great idea! I think I will try one for my 18 year old daughter, but with a "Tangled" look for her favorite princess, Rapunzel!